Ever wanted to put your feet up in your backyard and watch your kids play without having to worry about the elements? Then this Houston backyard porch is an amazing example of what you need. Comfort, luxury, and peace of mind are only a few of the words that come to mind when we think of a backyard porch. All of our porches are custom made individually for our clients. All of our materials are only top of the line here at Houston Outdoor Kitchen Pros. We will never compromise the quality of our products for anything. 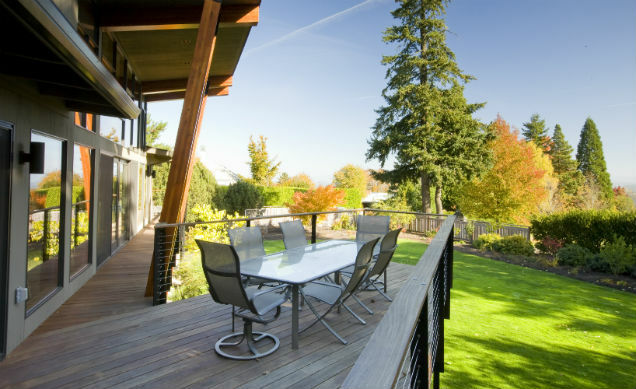 Our clients always receive only our absolute best work, as evidenced by this gorgeous backyard porch. Contact us today for a free consultation and to turn your dream backyard porch into a reality for the best price in the Houston area!